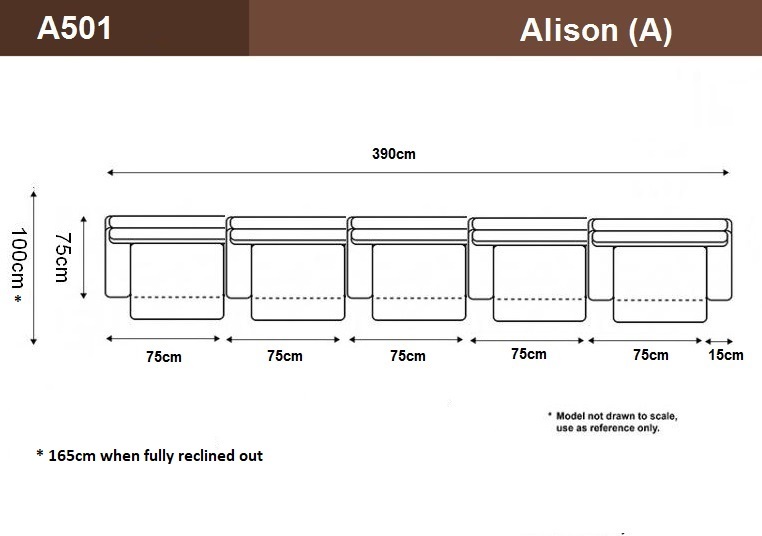 The Alison A can be done in any configuration in as many seats as you would like. The standard configuration is for a 5 seater. Additional seats are $400 each if in a single row above 5 seats. The Alison Leather Lounge can also be done using electric recliners. The cost of electric recliners is an additional $130 per seat.